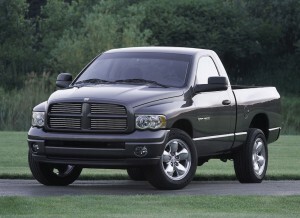 Older vehicles feature fewer safety technologies and lower crashworthiness. 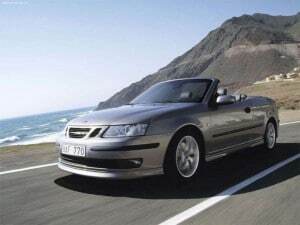 The 2005 Saab 9-3 is one of the safest and least expensive vehicles for teen drivers, according to IIHS. The fact that teen drivers die at significantly higher rates than other age groups isn’t a surprise to most; however, one of the reasons may be a bit of a revelation: old cars. It’s often assumed that teenage fatalities involving vehicles – the top reason for teenage fatalities, according to the Centers for Disease Control, is car crashes – can be attributable to a dangerous combination of poor driving habits and a lack of experience behind the wheel. Treasury made more than $2 billion on GMAC deal. 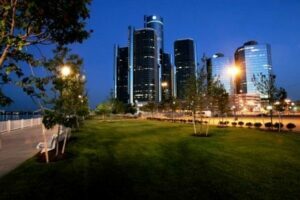 The Treasury exited GM more than four years after the maker's 2009 bankruptcy. The U.S. government lost less than $10 billion rescuing the auto industry, which was four times less than some estimates. The Treasury initially estimated the loss would be $44 billion, but revised it to $30 billion in 2009. Under government accounting rules, the U.S. Treasury actually lost $16.56 billion on paper because interest and dividends paid isn’t applied toward the principal owed. Safety may remain the big story in 2015. Barely 2 months after becoming GM's new CEO, Mary Barra was facing a Congressional investigation into the maker's ignition switch problems. 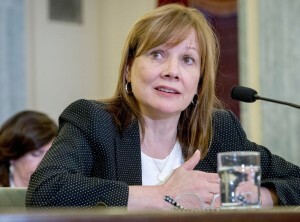 When 2014 opened, the year’s top automotive story seemed likely to be Mary Barra, General Motors’ new chief executive, and the first female CEO of a major automaker. As the year draws to a close, Barra is, indeed, still in the headlines, but enmeshed in what has turned into the year’s biggest story. GM’s February recall of 2.6 million vehicles due to faulty ignition switches has so far been linked to more than 40 deaths. But in recent weeks, that’s nearly been eclipsed by the Takata airbag crisis that has so far led to the recall of more than 10 million vehicles and counting – federal regulators pressing to expand the service action nationwide. Begin 2015 With a Free Subscription! But those are only two of the many safety issues that have led the industry to recall about 60 million vehicles this year, nearly twice the previous record set back in 2004. The question is whether recalls will remain the big automotive story for 2015. Brand’s sales up more than 40% through November. Jeep sales were up 44% through November. 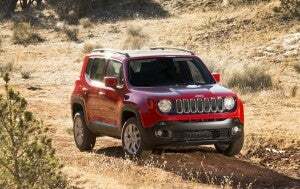 The Renegade is helping push Jeep toward sales of 1 million units in 2014. Global sales of the Jeep brand are expected to top 1 million units for the first time ever when the numbers are added up by Fiat Chrysler next week. However, the company isn’t resting on its laurels, FCA is charging ahead with ambitious plans for the future. FCA Chief Sergio Marchionne laid out the goal of 1 million units for Jeep during the Detroit Auto Show at the beginning of 2014. Through November, the brand’s sales are up 44%, which puts it on track to hit the mark. Ad campaign generated parodies – and strong sales. Academy Award winner Matthew McConaughey will have a big presence for Lincoln – again. He’s been the target of parodies from the likes of Jim Carrey and Ellen DeGeneres, but the folks at Lincoln apparently like what they’ve seen from actor Matthew McConaughey because they’re bringing him back for a sequel. 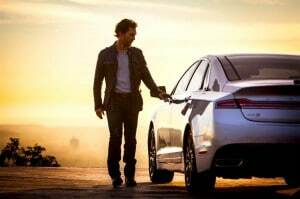 The Academy Award-winning actor will start pitching the upscale maker’s MKZ model later this week, part of Lincoln’s effort to regain some momentum after years as a second-tier player in the otherwise booming U.S. luxury market. Musk’s forgotten child gets some updates. The Tesla Roadster 2.0 is getting an upgrade to 3.0 to extend the car's range from 245 miles to 400 miles. Tesla’s founder, Elon Musk, has been making noise on Twitter about an announcement regarding the company’s first vehicle – the Roadster – for more than a week and now he’s let the cat out of the bag: it can go nearly 400 miles on a charge. The improved results are coming from a new prototype package the company calls Roadster 3.0. Those changes include an improved lithium ion battery that has 31% more energy, a retro-fitted aero kit to improve the vehicle’s coefficient of drag and low-resistance tires that are 20% better than their predecessors. Tesla officials declined to elaborate on pricing or availability. The Roadster originally had a range of about 245 miles on a charge. Embattled Japanese airbag supplier Takata is shaking up its top management team – even as top managers take pay cuts of as much as 50%. But the company is so far maintaining its position that there is no need to expand the recall of airbags linked to a potentially deadly problem that can result in the devices spewing shrapnel into the passenger compartment after a crash. As part of the shake-up, Takata Corp. President Stefan Stocker will step aside, his duties being assumed by Chairman Shigehisa Takada, heir to the founders of the company. Stocker will remain a member of the Takata board. No room, no worries when driving this pleasing pocket rocket. 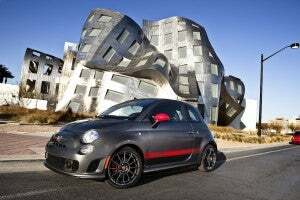 The 2015 Fiat 500 Abarth is big fun in a little package, in large measure due to its 1.4-liter MultiAir turbo. No vehicle is perfect and the Fiat 500 Abarth has its share of shortcomings. For starters, it can only carry two passengers. You can add to the list that it barely has enough room for the groceries of someone living alone and it’s dwarfed by most of the vehicles on the road, which can be unnerving at times.